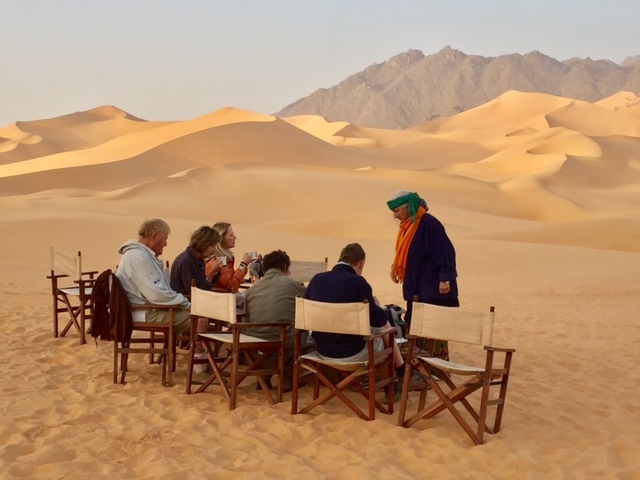 TARA’s David Coulson recently led a Royal African Rock Art Safari to northern Niger’s Air Mountains. The group was accompanied by Rhissa Agboulah, Minister of State for Security in Niger, an old friend of David’s. The group flew into the capital, Niamey, on the Niger River, and then on to Agadez by internal flight where the safari began. Agadez was for many years known as the Gateway to the Sahara. The Air Mountains are composed of ancient volcanic craters and the many thousands of rock engravings testify to more fertile times dating back several millennia. 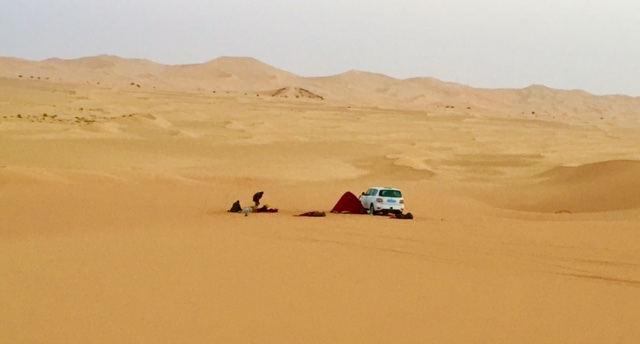 The first destination for the group was Dabous, an ancient lakebed between Agadez and the Algeria border. Situated on an outcrop above this lake is one of the world’s most spectacular pieces of rock art, a 6,500 year old life-size carving of two giraffes. After TARA documented the site in the 1990s, it was hailed internationally as one of the world’s greatest pieces of prehistoric art. 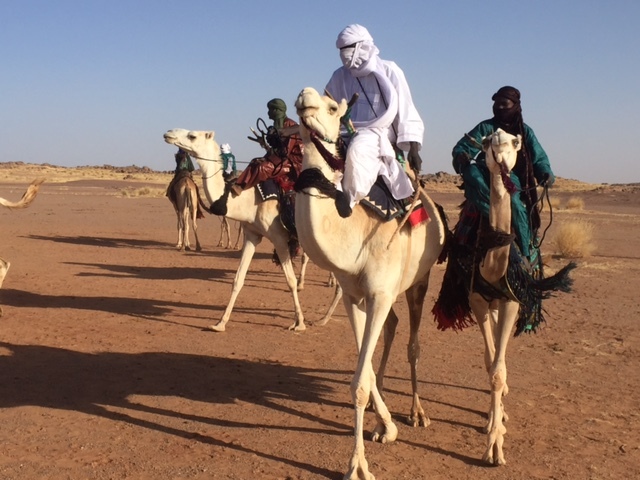 The visitors were traditionally welcomed at Dabous by a large group of Tuareg pastoralists, mounted on camels and accompanied by chanting women. 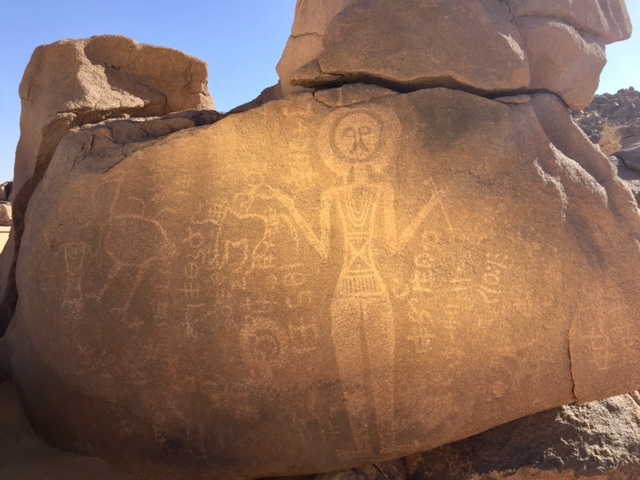 The following day the TARA group continued their journey, stopping near the little town of Iferouane where they camped near a recently discovered rock engraving site known for a remarkably Christ-like image which dominates the site. 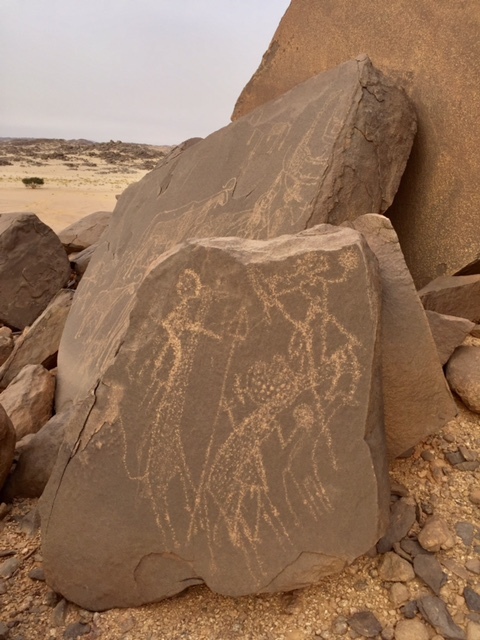 The Sahara has one of the richest rock art concentrations on earth, almost all of it dating from a different climatic era when the Sahara still supported large human and animal populations. When the Sahara began to dry up some of these cultures moved to the Nile Valley where they helped found the great civilisation of Ancient Egypt. Lovely Site, Preserve the excellent job. Thanks!